In this study, we mixed Bi0.5(Na0.68K0.22Li0.1)0.5TiO3 (with 0.10 wt.% of La2O3 added-abbreviate to BNKLLT) solid solution to (K0.44Na0.52	Li0.04)(Nb0.84Ta0.10Sb0.06)O3 (abbreviate to KNLNTS), forming a (1 − x) KNLNTS–xBNKLLT solid solution (0 ≤ x ≤ 0.030 wt.%) prepared via the solid state combustion technique. We examined the effect of the x content on the phase formation, morphology and electrical behavior of these ceramics. The x-ray diffraction of all samples showed a single perovskite phase, indicating that the BNKLLT solid solution effectively diffused into the KNLNTS lattice during the sintering process to form a solid solution. These ceramics showed coexisting orthorhombic and tetragonal phases. The tetragonality increased with an increase in x. An x concentration around 0.005–0.020 promoted a well-developed morphology and enhanced densification. With an x concentration > 0.020, the microstructure and density of the samples began to deteriorate. The phase transition temperature of the orthorhombic ferroelectric to the tetragonal ferroelectric phase disappeared while the Curie temperature of the (1 − x) KNLNTS–xBNKLLT samples reduced with x content ≥ 0.005. Moreover, the (1 − x) KNLNTS–xBNKLLT exhibited intermediate relaxor-like behaviors; i.e., between the normal and relaxor ferroelectric. The highest dielectric constant at room temperature (2126), the highest maximum dielectric constant (6625) and the maximum piezoeelctric coefficient (≅ 275 pC/N) were attained by the sample with an x content of 0.020 due to a morphotropic phase boundary at this concentration. 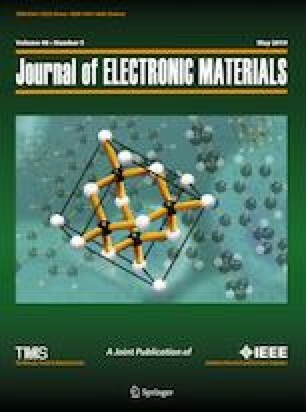 Adding BNKLLT solid solution into KNLNTS resulted in the degeneration of the ferroelectric behavior in this ceramics system. Adding BNKLLT solid solution into KNLNTS ceramics at the right concentration is a new method for improving the physical behavior, dielectric and piezoelectric performance. This work was supported financially by Naresuan University. The authors wish to thank the Department of Physics, Faculty of Science, Naresuan University for their supporting facilities. Thanks are also given to Dr. Kyle V. Lopin for his help in editing the manuscript.